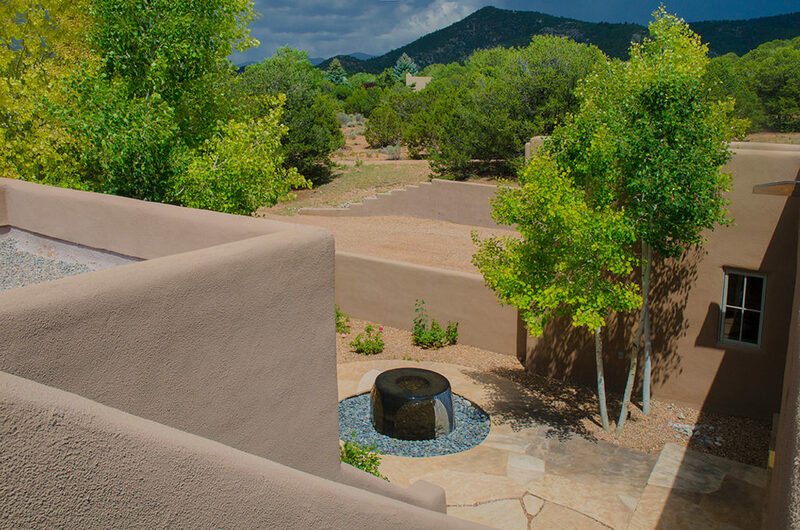 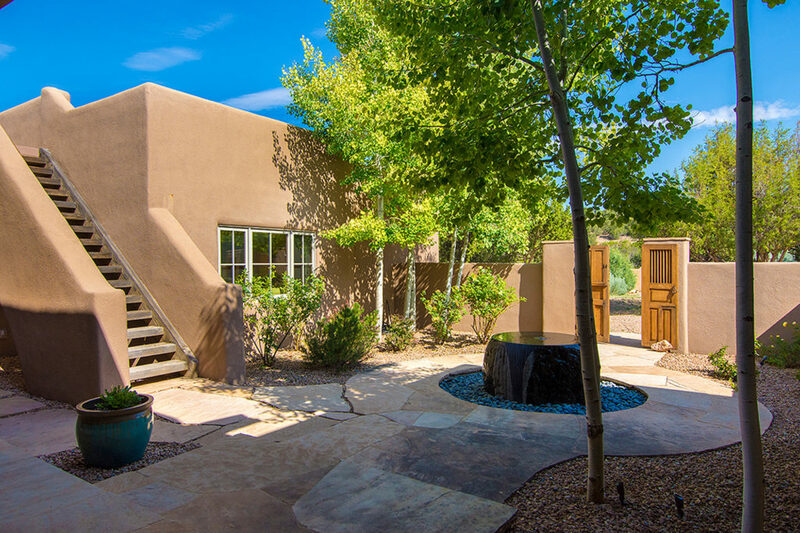 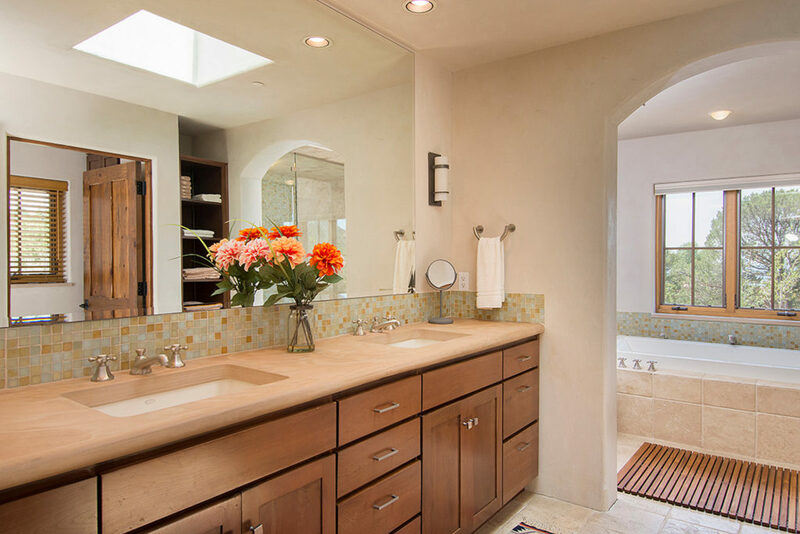 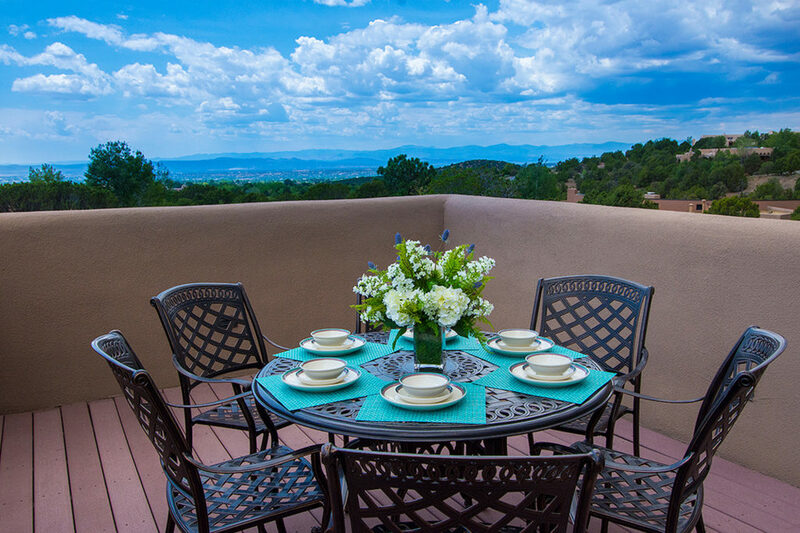 The Cruz Blanca Estate is a unique home located at the base of Sun and Moon Mountains in Santa Fe, New Mexico. 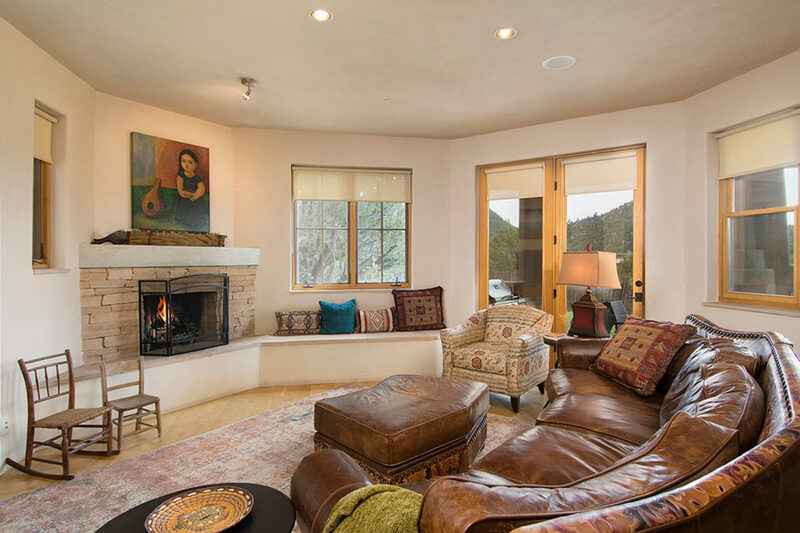 This four-bedroom home has three public living areas with fabulous views of the mountains. 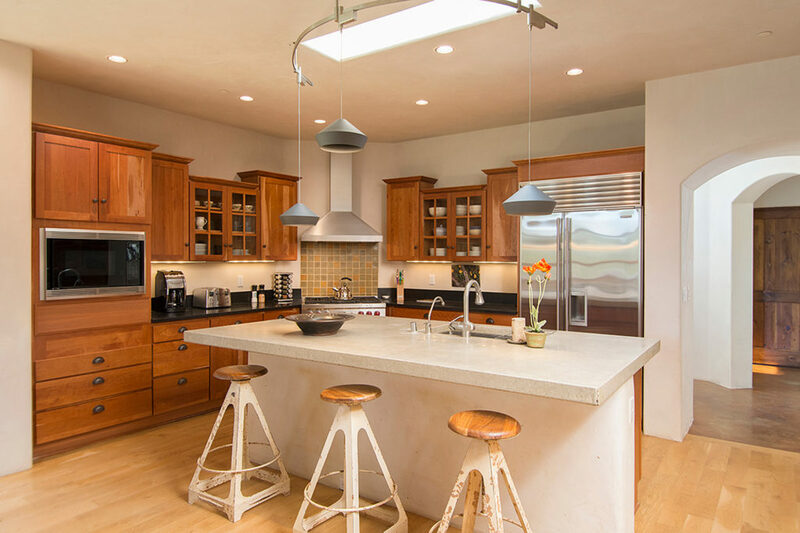 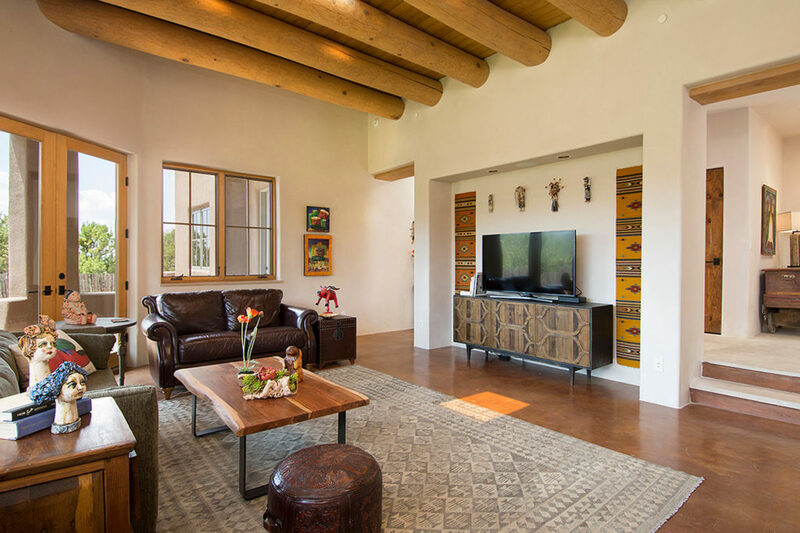 There are Vigas throughout lending an air of the Old Southwest that is complimented by stained concrete floors. 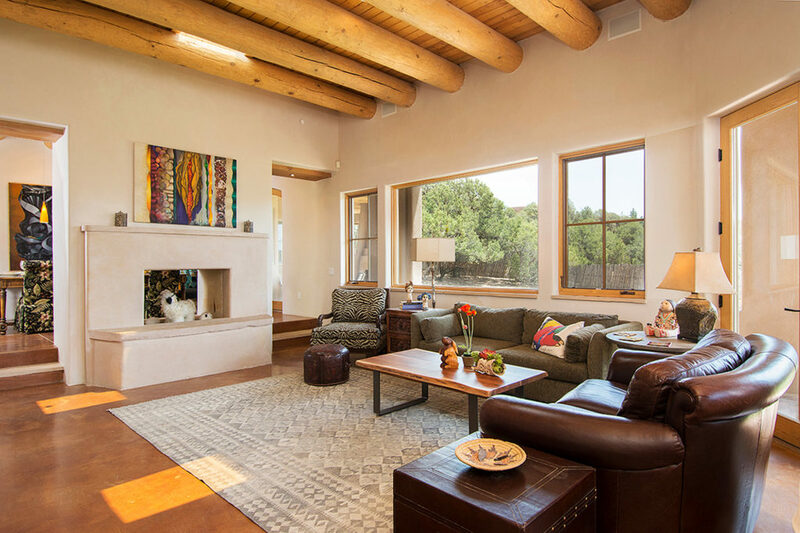 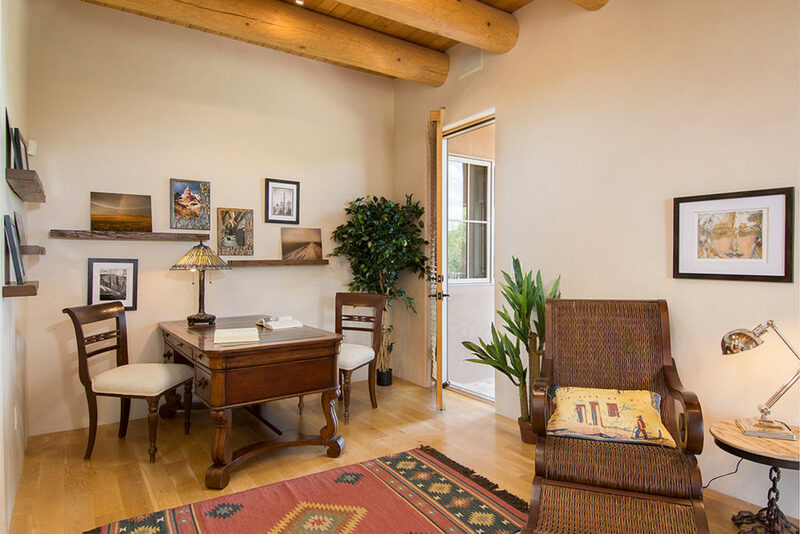 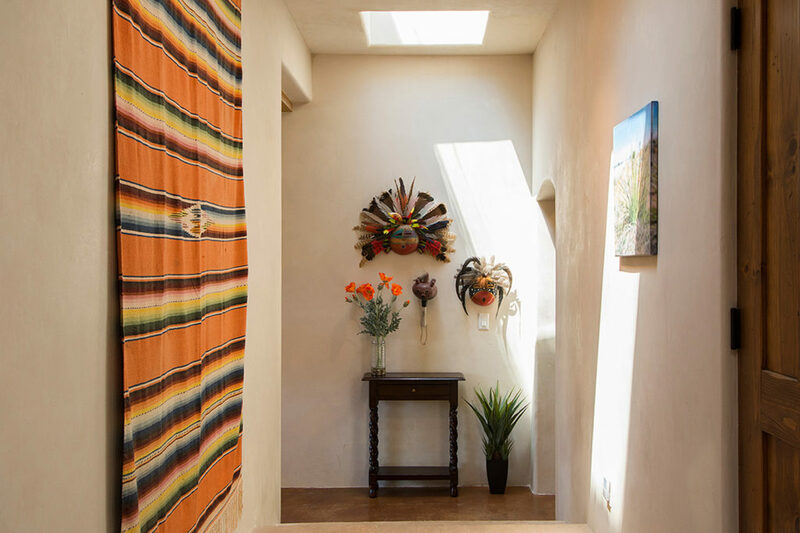 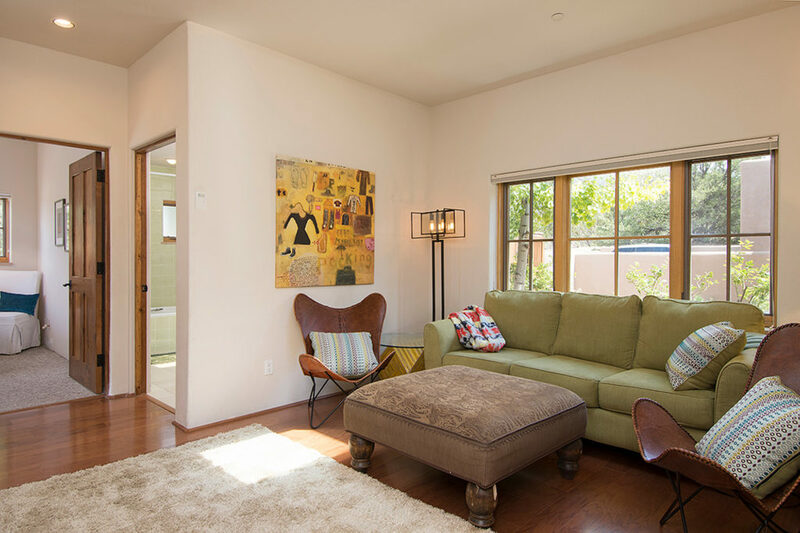 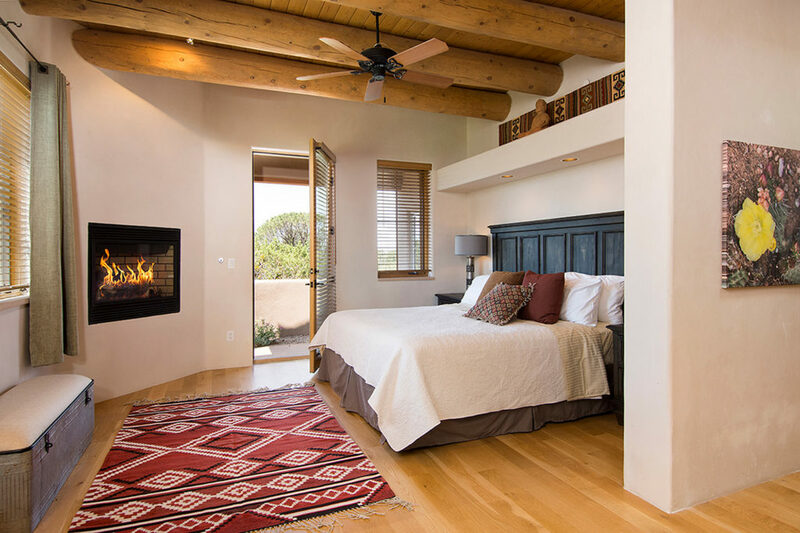 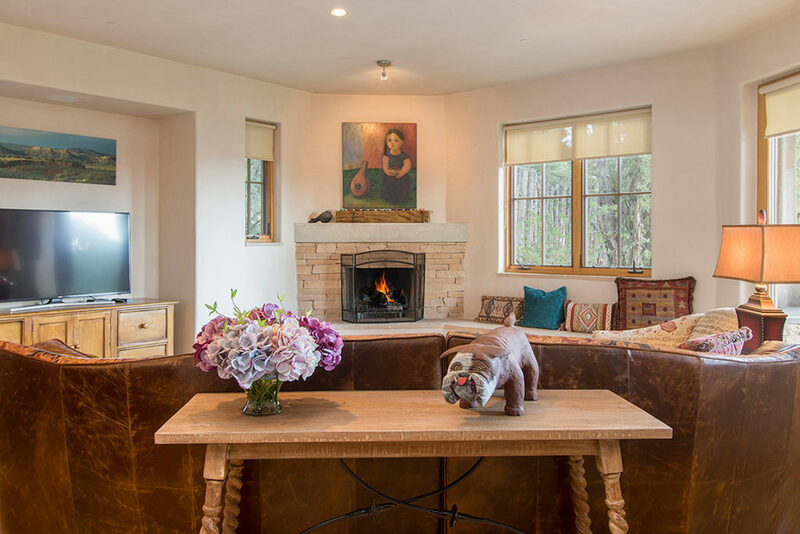 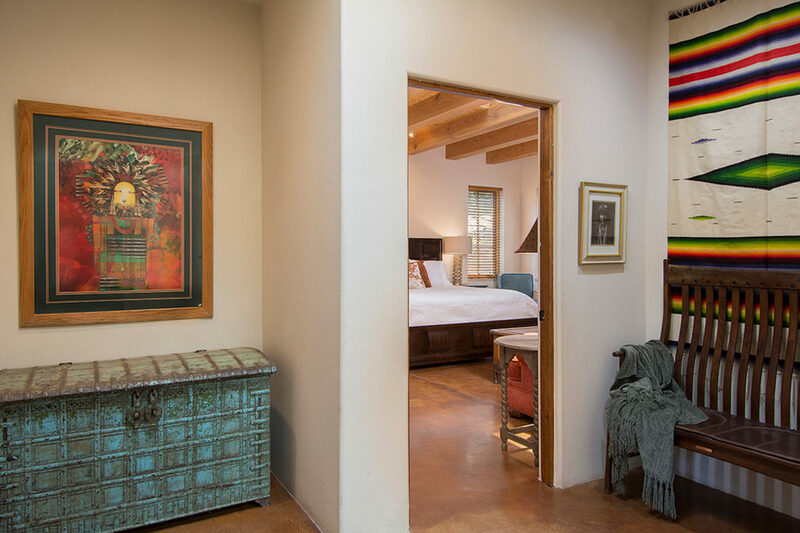 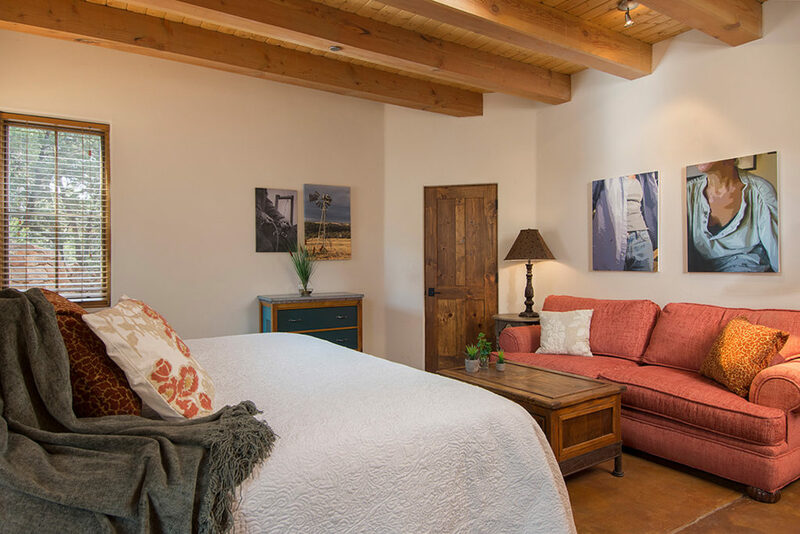 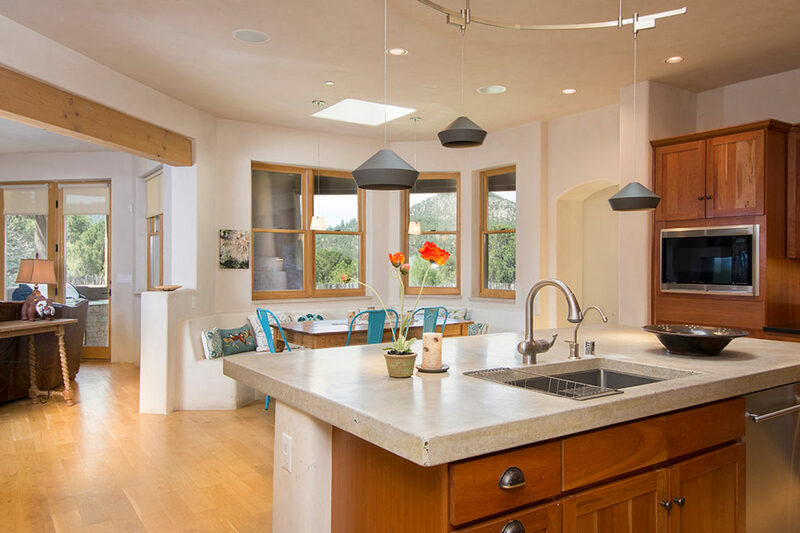 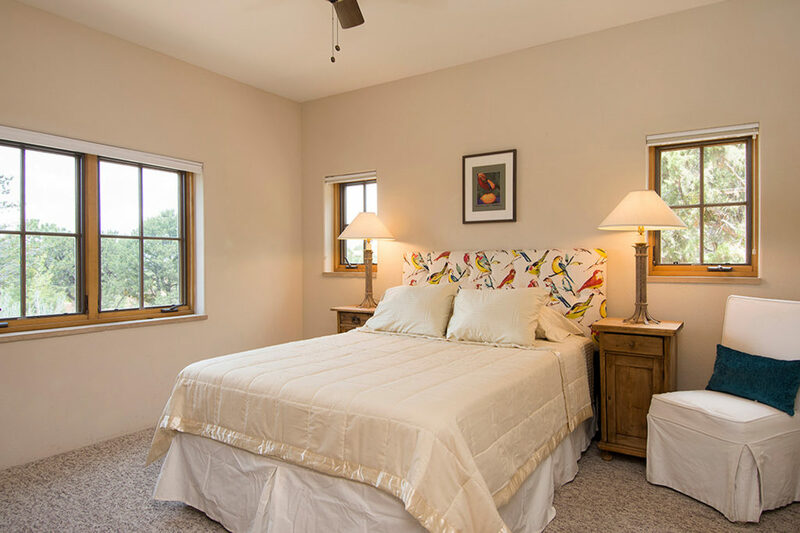 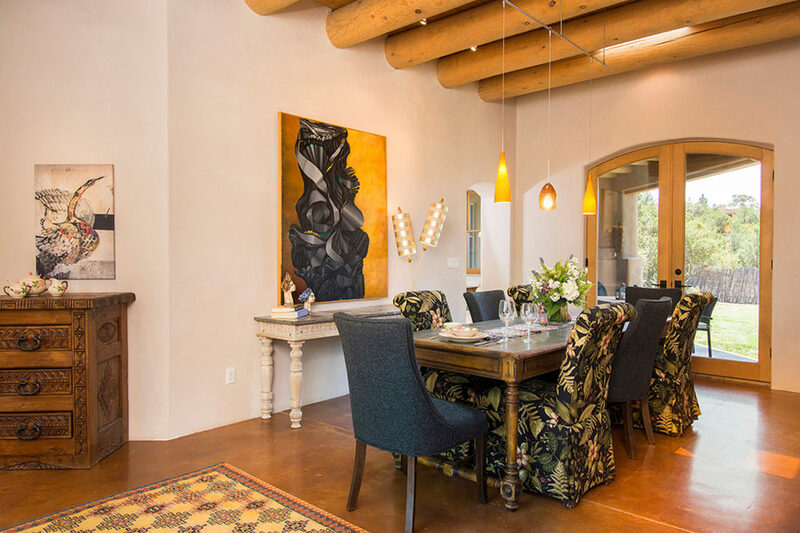 The transitional furnishings work well with photographs of Santa Fe and contemporary art.